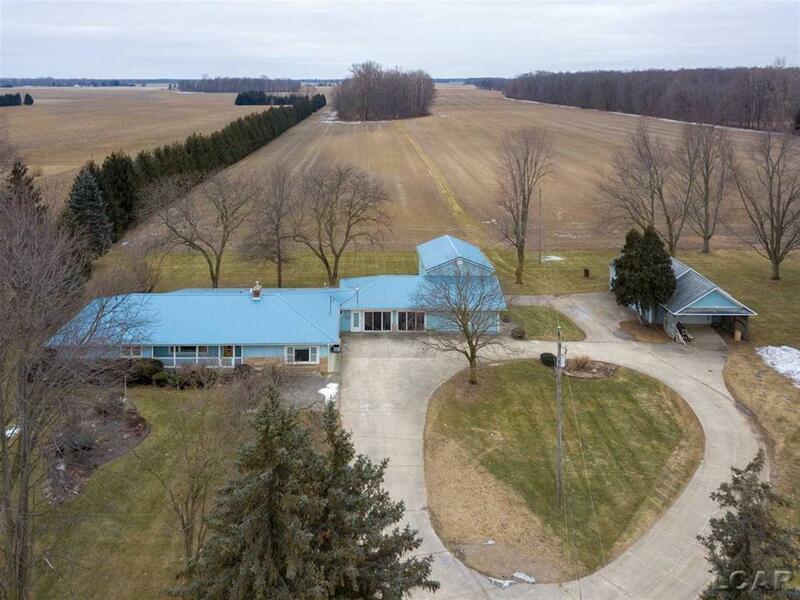 Sprawling Ranch farm house on 20 acres, 15 tillable with 3 acres of woods. 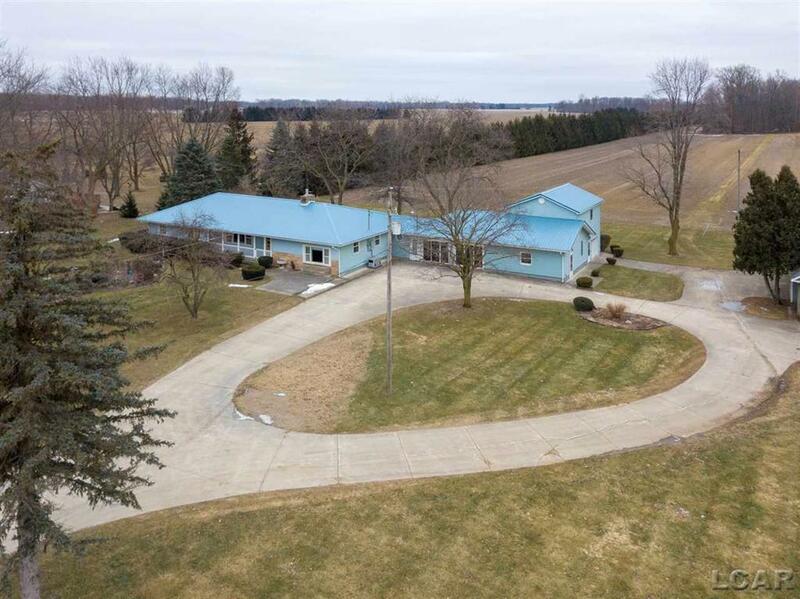 Built in 1955 this home has been well maintained throughout, hardwood floors in the expansive great room (45x13) with picturesque windows and skylights overlooking the beautiful land and wildlife galore. Family room with gas fireplace and bar. Plenty of storage in the kitchen with solid surface counters, appliances, dining and pantry room. Garage has been converted to bonus room with adjacent home office and separate upstairs living area with private balcony. Whole house generator, new metal roof, multiple air conditioners, furnace and water heaters. 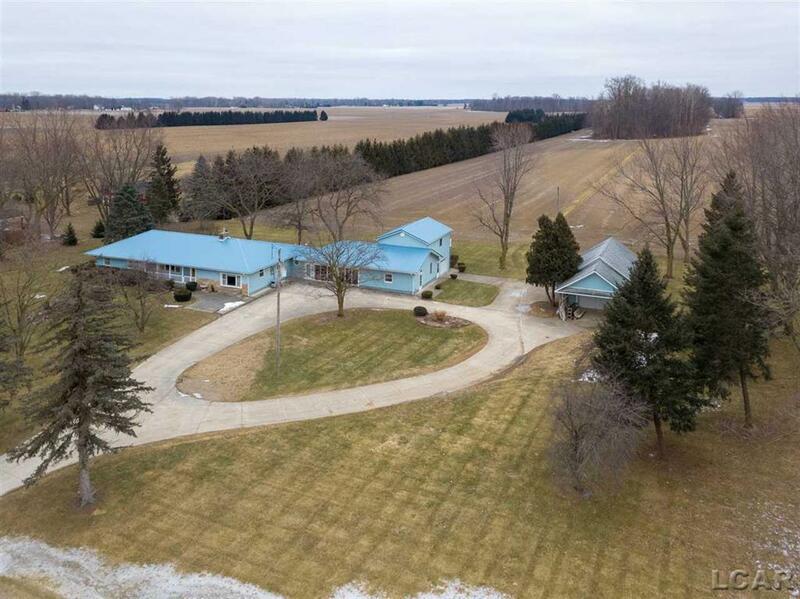 Detached 20x30 pole barn. 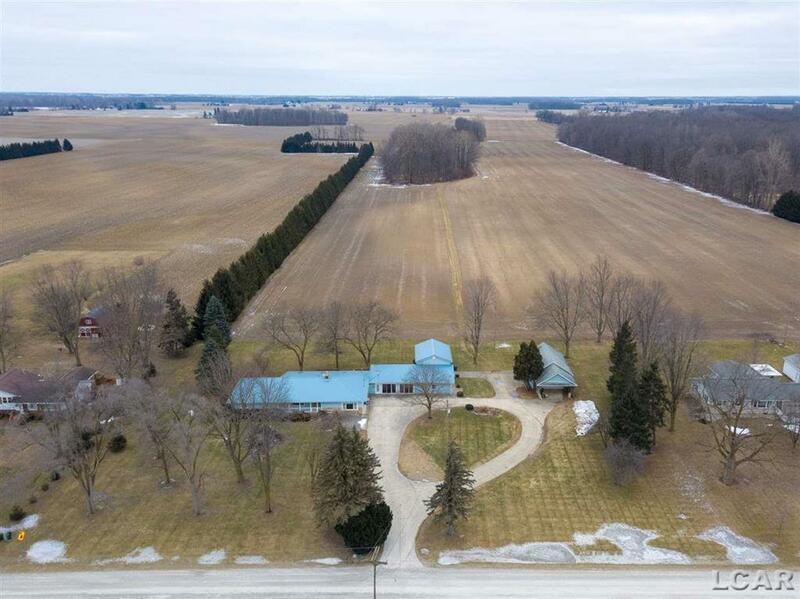 Add'l 24.82 agriculture acres/5 ac with pond and pole barn option to purchase.